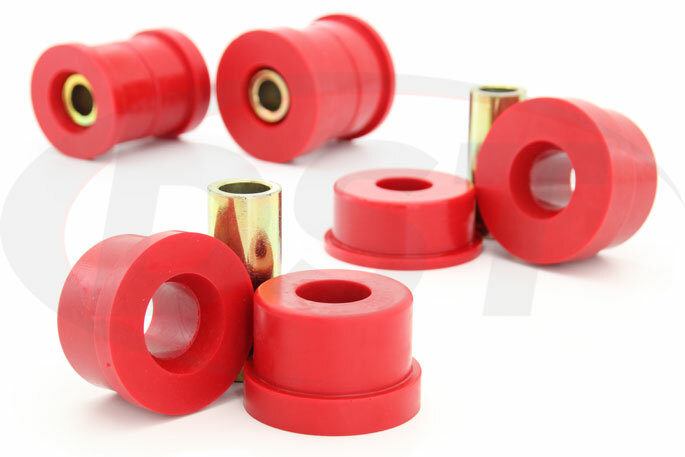 Polyurethane Rear Subframe Bushings from Prothane can replace the worn or degraded rubber rear subframe bushings for the 2003-2009 Nissian 350Z or 2003-2007 Infiniti G35. 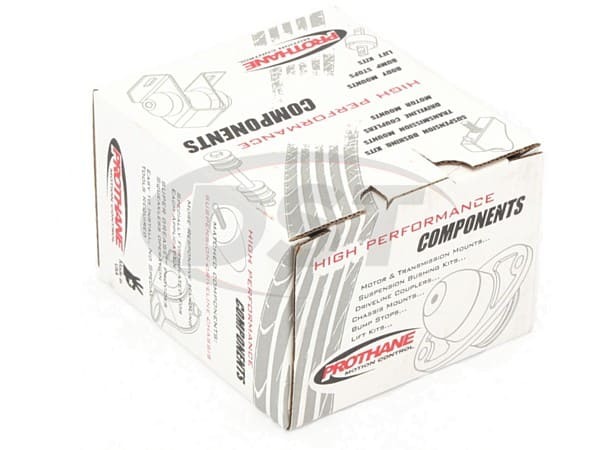 Prothane's Rear Subframe Bushings do a much better job than rubber of holding your 350Z or G35's rear suspension and the alignment of your drivetrain, reducing slow throttle response and wheel hop. The subframe connects your Nissan 350Z or Infiniti G35's control arms and differential, so if it's loose then those parts are very likely going to become misaligned as you drive. This means the alignment of your rear wheels can change (control arms) or your drivetrain could shift (differential) and this can become expensive when you add up edge-worn tires or, worst case scenario, driveshaft or differential damage. Besides that, the dreaded wheel hop can be caused by an unsecured subframe. 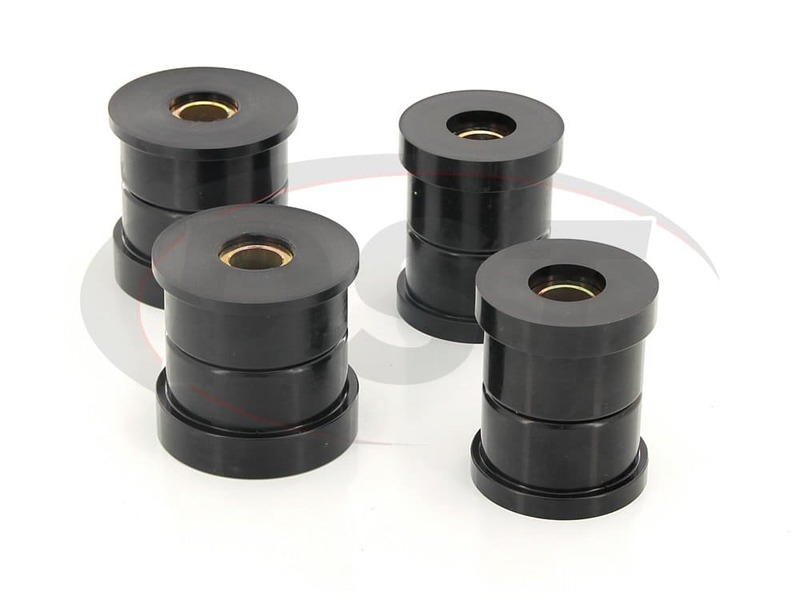 The rubber subframe bushings holding the subframe to the chassis are excellent vibration absorbers but when it comes to durability and performance they begin to fall off. The flexing that absorbs vibration also allows the subframe to move which can affect the power transfer from the engine to the wheels. 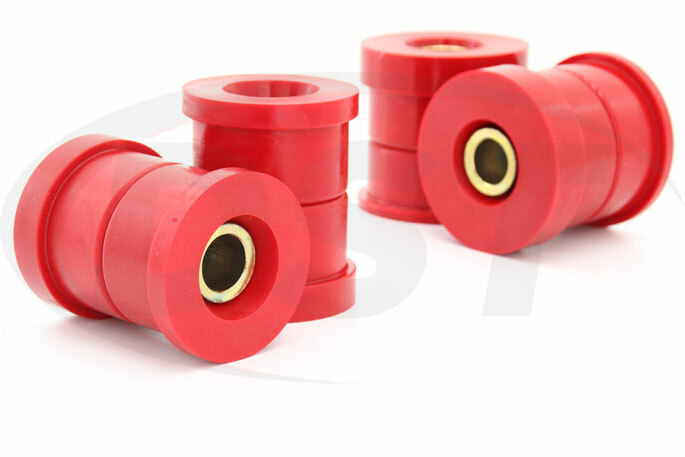 Also when rubber bushings degrade they can hollow out to the point that they no longer hold the subframe securely. 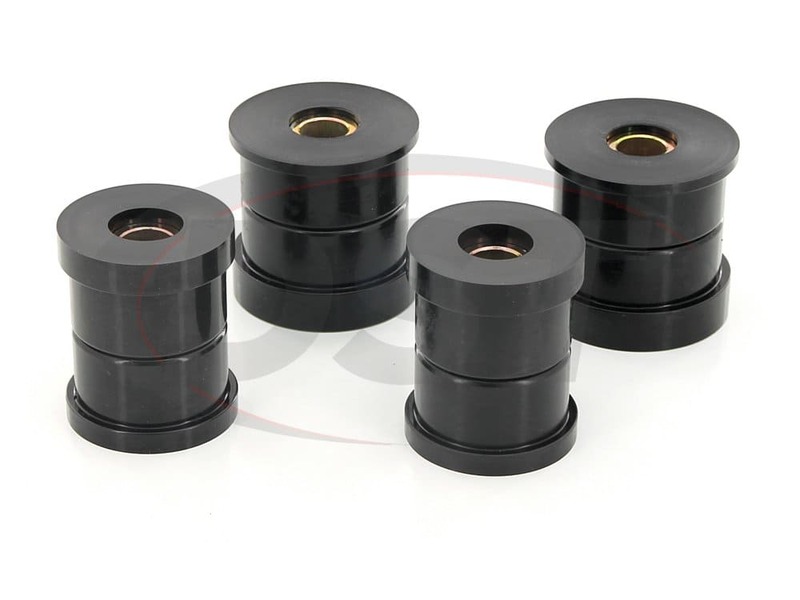 Race cars generally use solid metal mounts that ensure the subframe doesn't move at all, but this makes the vibration for a daily driver almost unbearable. 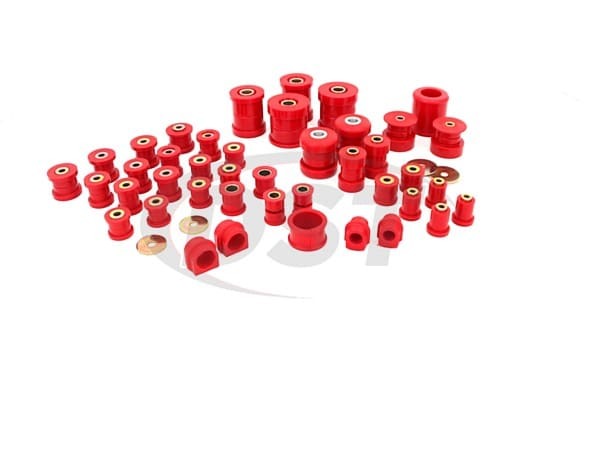 The sweet spot between a secure connection and comfort is filled by Prothane's Polyurethane Subframe Bushings. 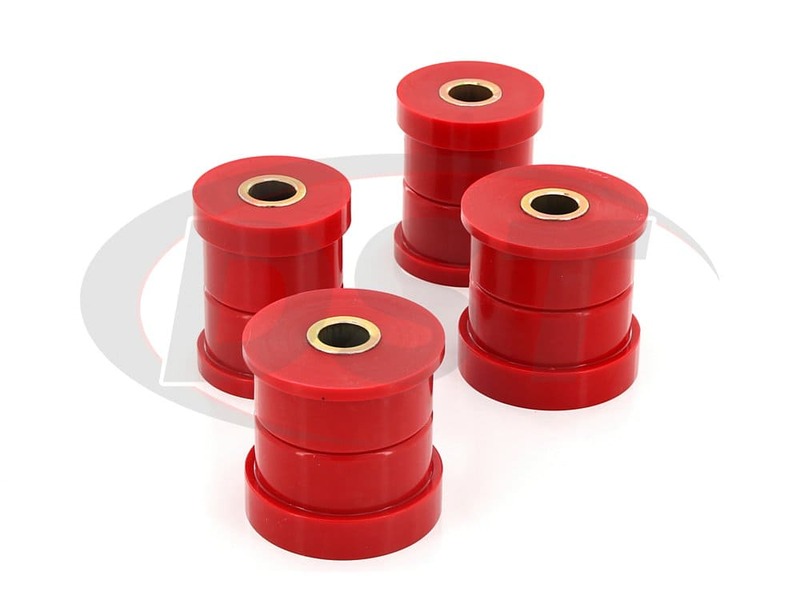 These bushings do not flex like rubber meaning less movement from the subframe when you hammer the gas at a green light. They also provide much more give than the solid mounts, which are great if you're only rocketing down straightaways and making left-hand turns at high speed but not so awesome for the highways around Stephenville Texas. 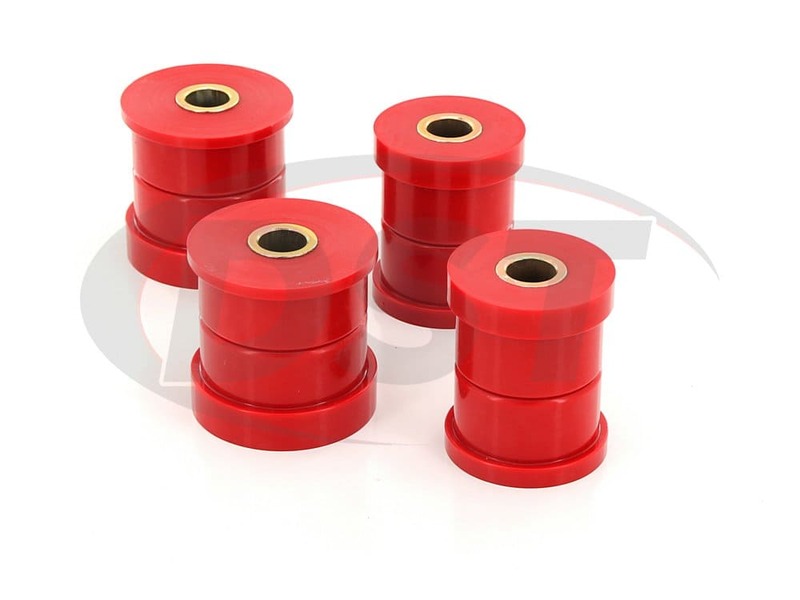 If you want the best balance between comfort and performance for your 350Z or G35 then these subframe bushings fill that role. 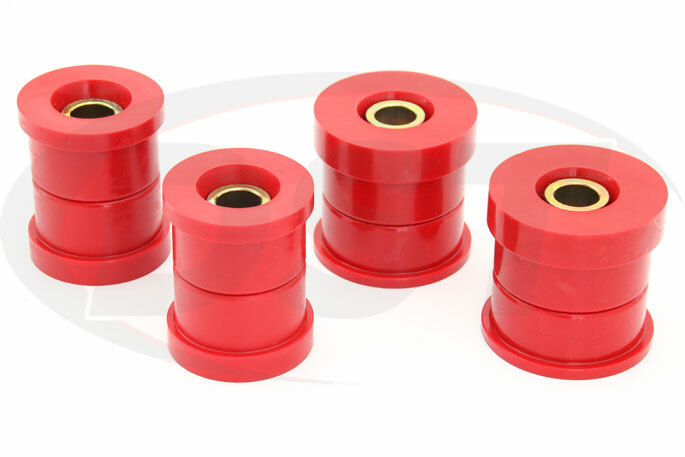 If you're putting polyurethane bushings on your subframe then you might want to take a look at all of Prothane's suspension bushings for your Nissan or Infiniti. 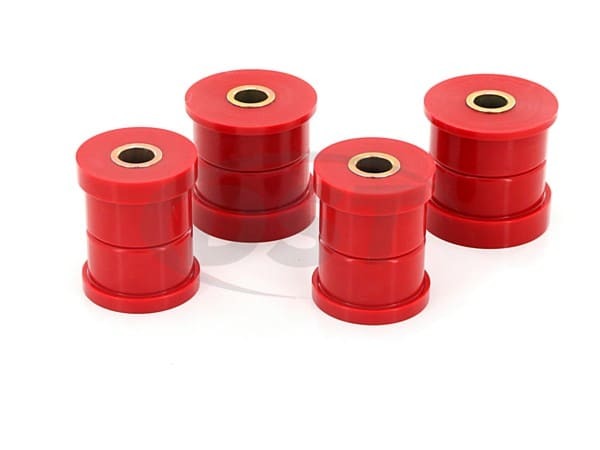 The Complete Bushing Replacement Kit for the '03-'09 350Z or '03-'07 G35 will replace every rubber bushing on your car without you having to scour the catalogs or check fitment on individual parts. You can get all the parts you need in one Total Kit.